After the catastrophic failure of Cat’s Tuono on the Galibier yesterday, this morning saw him waiting for a man with a van to take him and his bike to Grenoble. It wasn’t exactly clear what was going to happen after that but if the problem was terminal – which was looking likely – he’d have to make arrangements to get his bike shipped back to the UK. 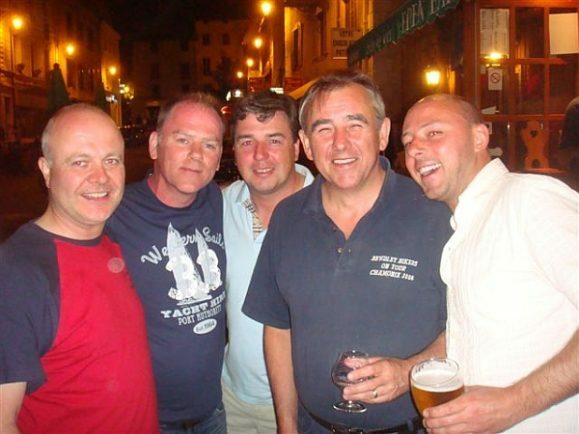 This hiccup wasn’t going to end his tour though and in a worst case scenario he said he’d hire a car and meet us in Belfort tomorrow. While for the rest of us there was a lot of riding to be done today. Before we left Briancon though there was some dissent within the ranks. 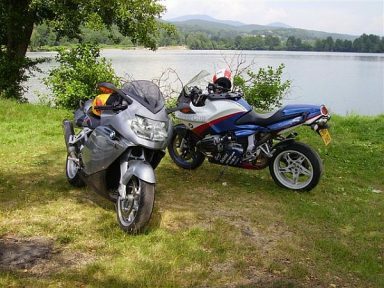 Phil’s planned a route to Belfort included a short incursion into Italy before the ride north proper started. This wasn’t for Gaz and Pete. They wanted to get the journey over and done with in the least amount of time possible and that didn’t include going over another pass. Phil’s route to Belfort started with a run over the Col de Montgenevre. As it turned out this first leg of the journey wasn’t too bad after all although from a biker’s perspective it did suffer from the heavy volume of traffic using it and overtaking wasn’t always easy. 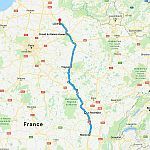 From here we headed along the E70 to the Frejus Tunnel and from there it was up the A43/E70 virtually all the way to Albetrville. 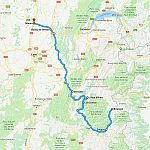 At Alberville it was only a short distance along the D1212 before we got to Ugine and from there we took an enfocred ride on the D109 over the Col de l’Arpettaz to Flumet. The D1212 was closed between Ugine and Flumet due to roadworks and this little diversion added 10 miles and the best part of 50 minutes to our journey. The Arpettaz is slow, it’s narrow, and it twists and turns under the cover of trees for the best part of 20 miles with barely a straight stretch of road in all that time. At Flumet though we were able to rejoin the D1212 to Megeve and at this point we were only 20 miles from Chamonix and could clearly see Mont Blanc in the distance. 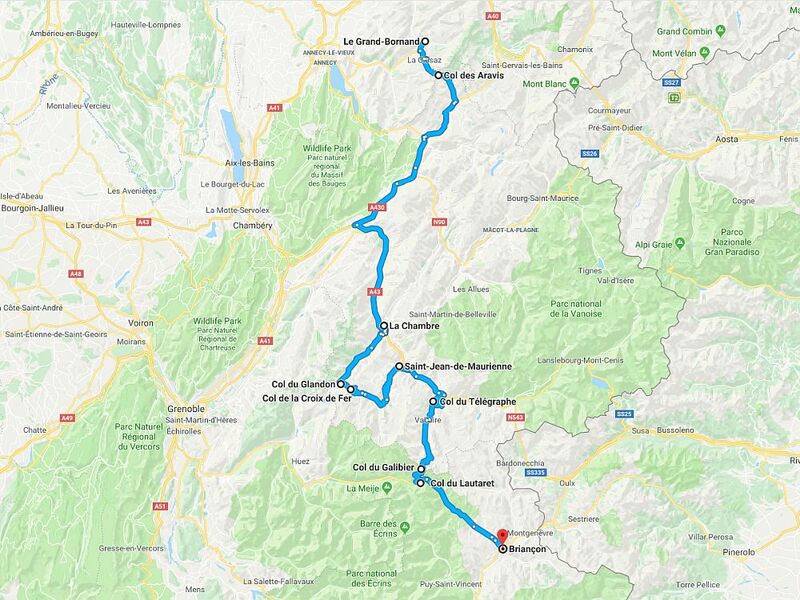 By now it was lunchtime and knowing Chamonix reasonably well we knew the perfect place to stop so pressed on past Megeve, briefly picked up the D909, and then took the N205 all the way up the valley. Heading into town we made a beeline for the train station and pulled up outside Chambre Neuf. Anyone that’s spent any time in Chamonix will know this place and for the next hour we spent our time eating and drinking, taking a well earned break from riding. 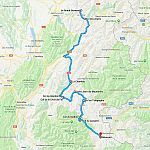 Our route out of Chamonix was very familiar to us and instinctively we headed up the valley through Argentiere and over the Col des Montets to Vallorcine. 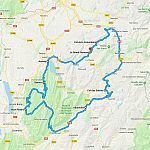 As usual there was nobody to be seen as we crossed the French-Swiss border and from there it was on to an old favourite of ours – the Col de la Forclaz – and then down to Martigny where we picked up the A9/E62 heading towards Montreux and Lausanne. 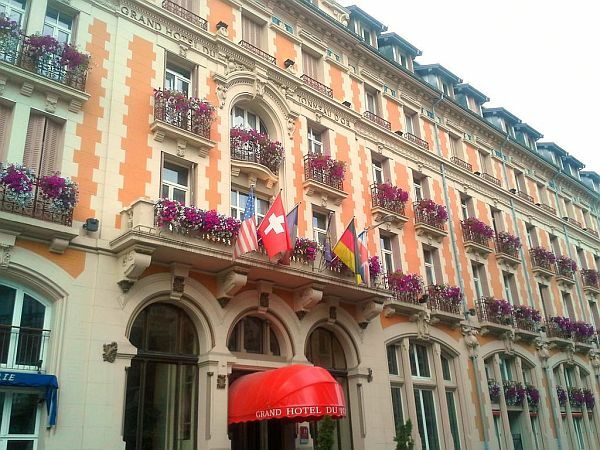 At Lausanne we picked up the E23 to the Swiss-French border where for the next 15 miles it became the N57 all the way to Pontarlier. 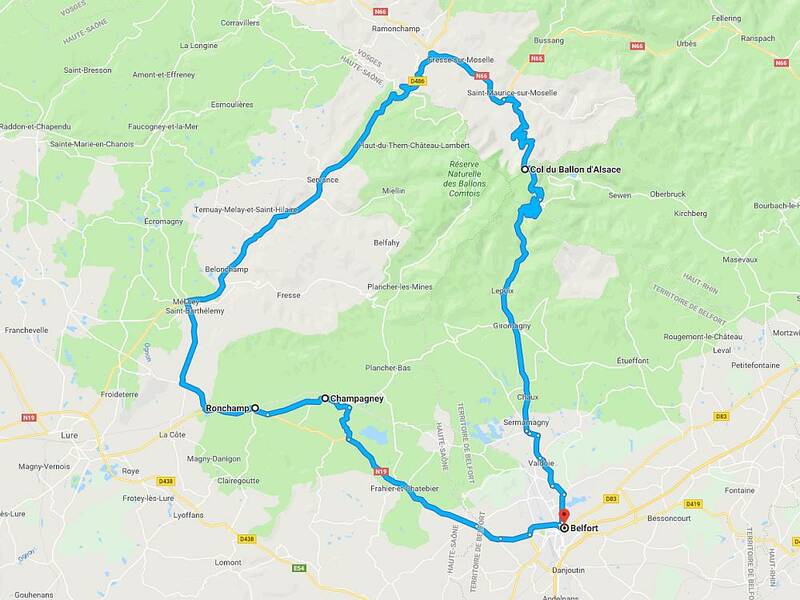 Once we got to Pontarlier we’d broken the back of the ride and from here it was a straightforward 75 miles up the A36/E60 all the way into Belfort. 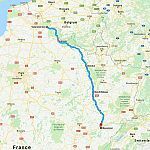 It had been a very long and very hot day in saddle and by the time we eventually arrived at Grand Hotel du Tonneau d’Or it had gone 6pm and Gaz and Pete were already relaxing in a bar. Meanwhile Cat had spent the entire day trying to sort his bike out. This morning the man with a van had taken him and his bike to an Aprilia dealership in Grenoble. Someone there had taken a quick look at it and after some teeth sucking and a bit of head scratching told him it was knackered and it needed to be shipped back to the UK. 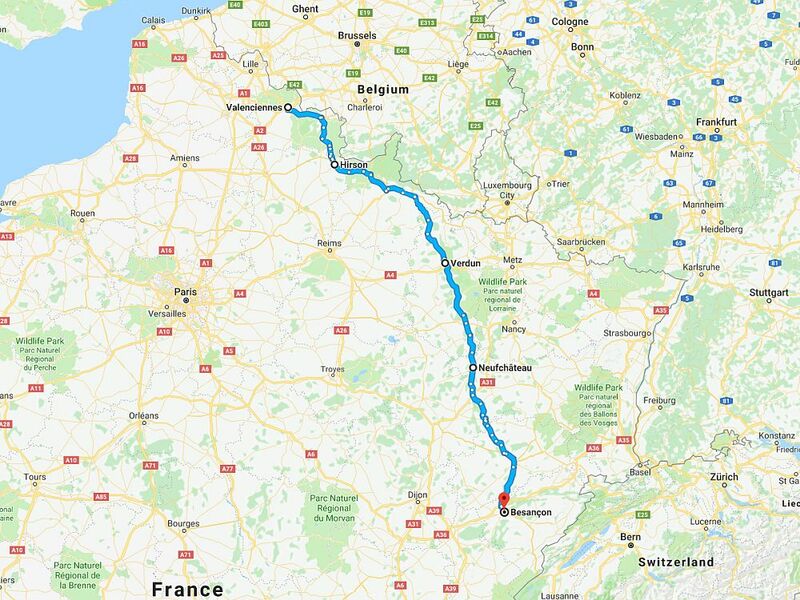 So Cat was stuck in Grenoble, at least for the night, but rather than moan about it and fly home with his tail between his legs he decided to carry out his threat, bike or no bike, he fully intended to join the rest of us in Belfort tomorrow and continue his holiday. We didn’t have anything in particular planned for today, just the vague notion that at some point we’d head for a short ride someplace and find somewhere to have lunch. 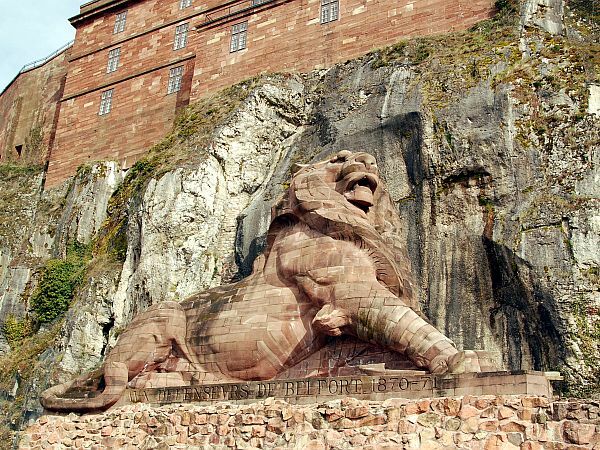 So, after a late breakfast, we spent a cultural morning exploring the attractions of Belfort, which pretty much meant a walk up to the castle and of course its most famous icon, the enormous sandstone sculpture Le Lion du Belfort. The sculpture is by Frederic Bartholdi who also happens to be the architect of New York’s Statue of Liberty. It’s constructed from sandstone blocks that were individually sculpted and then moved to the bottom of the castle and assembled. The sculpture is 22 metres long and 11 metres wide and it’s quite impressive dominating the local landscape. It symbolises the heroic resistance of Belfort during a 103 days long Prussian assault in 1870-71. Decamping to a cafe in the centre of town we ordered a round of coffees and formed a plan of action. 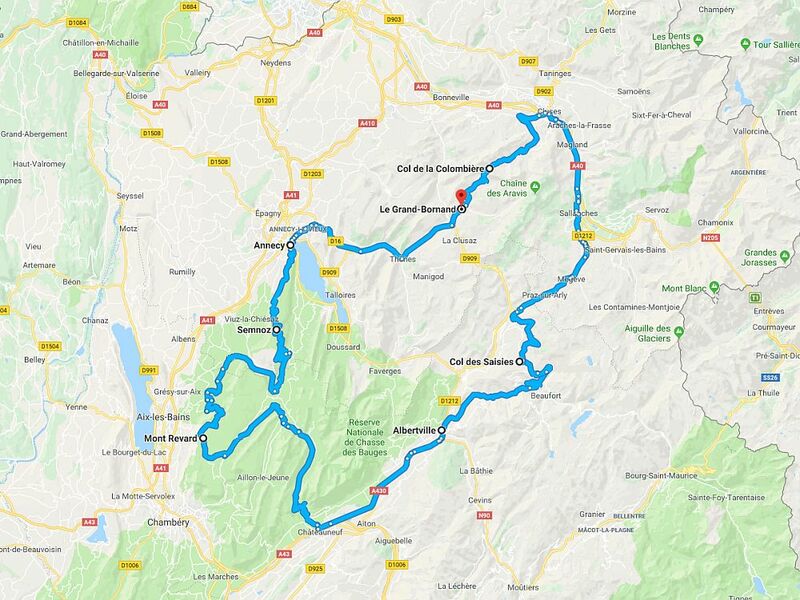 The final decision was unanimous, we were going to take a ride out to the Col du Ballon d’Alsace where we’d get some lunch at the restaurant at the top of the pass. 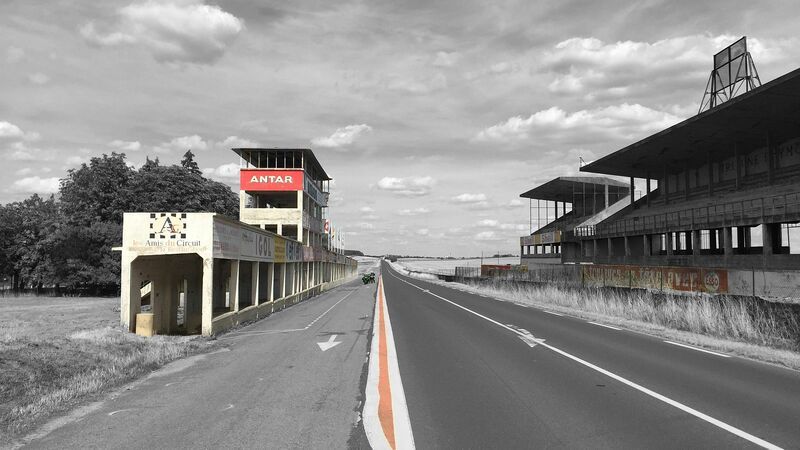 We have ridden over the Ballon before, in fact it was the first pass of the first tour we ever rode. Coincidentally that was 2 years ago to the day so it seemed somehow fitting that we take another ride over it today and see what, if anything, had changed. 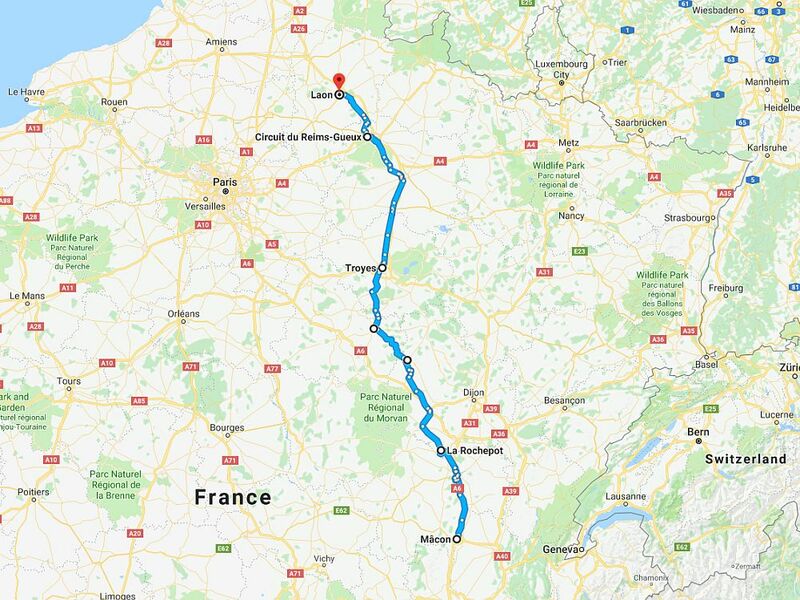 The last time we went over the Ballon we were riding south, today though we were riding it in the opposite direction so leaving the hotel we headed towards Giromagny. 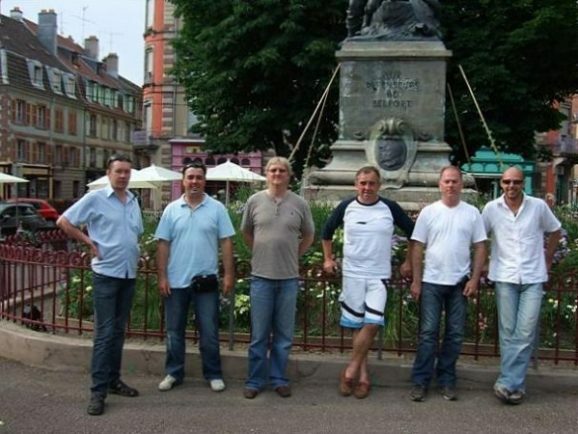 It’s only a short ride from Belfort, no more than 20 miles, so we didn’t bother putting our leathers on. And when we arrived at the top of the pass we found the views up there were as good as we remembered them to be. 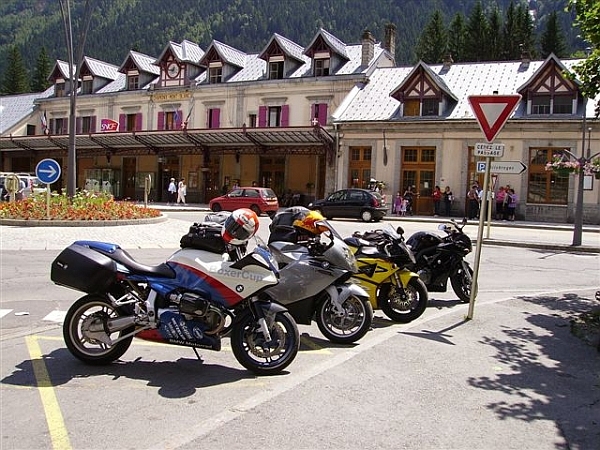 We ordered lunch at the auberge and proceeded to spend the next 60 minutes discussing all things bikes, in particular Cat’s kaput Tuono and the whys and wherefores of his bike trouble – being careful not to attribute blame to Gaz for being ham-fisted with the throttle. Unable to shed any further light on the subject we decided that we’d had enough and duly headed off. 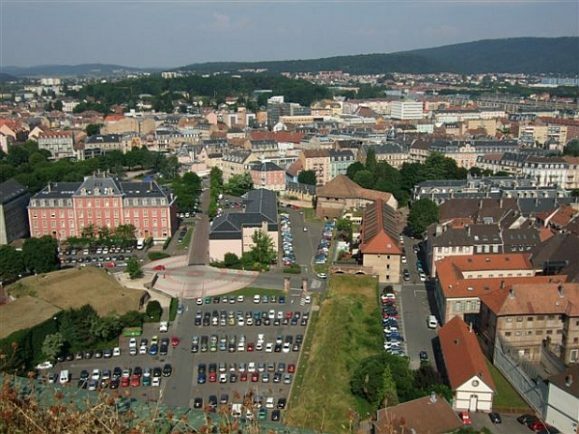 Not being a group that willingly goes the same way twice we carried on over the top of the Ballon and down the other side to Saint-Maurice-sur-Moselle. At the bottom we turned left onto the N66 towards Le Thillot and then left again onto the D488. 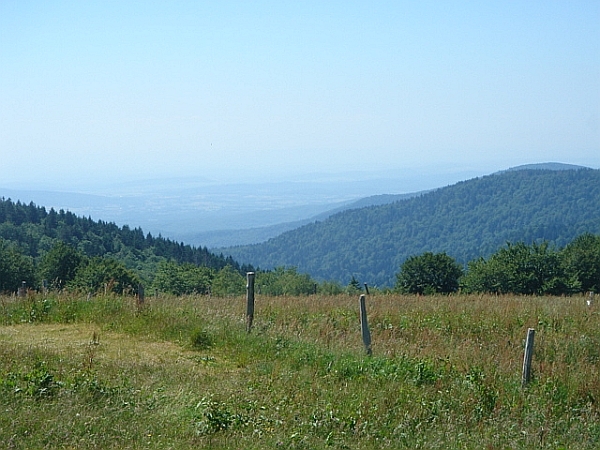 This was a nice enough road that took us over a small col, Col des Croix, and then down to Melisey, and from here we picked up signs to Ronchamp. 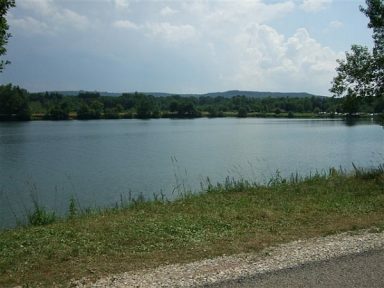 As we approached Champagney we spotted a reservoir – Bassin de Champagney – that looked like a popular spot for swimming. It was hot again today so wanting to cool down we parked up and joined the locals for an impromptu swim. Today’s weather forecast predicted storms for this afternoon and by the time we’d dried off we could see the clouds beginning to gather so not wanting to get wet twice in the same day we headed back to Belfort. 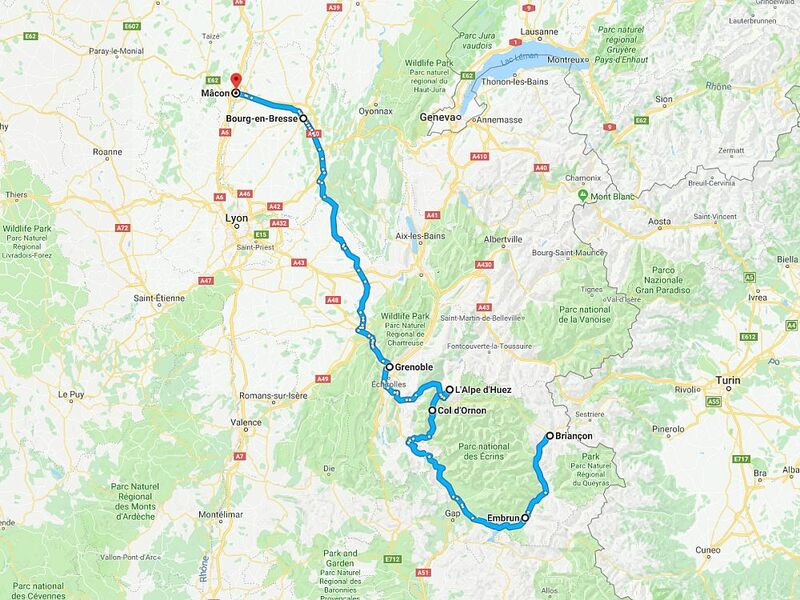 While we were enjoying our day in the sun Cat was in his hire car heading up the autoroute from Grenoble. Making good time he expected to arrive at 6pm so while he negotiated the early evening traffic the rest of us headed to a bar and waited for him to make an appearance. Cat finally appeared, bang on his predicted time, and over a few beers gave us the low-down on his bike. Basically it was knackered and he was tired of talking about it so the conversation swiftly moved on to food. We fancied something to eat that wasn’t pasta or pizza and Pete knew of a Moroccan restaurant in the old city called La Gazelle D’Or. We could have done with booking because it was quite busy but they were helpful and found us a table. The food was good, if a little different, and from here we headed over to the opposite side of the city, to a dodgy karaoke bar that Pete also knew of. We just about made it there before the gathering storm set in. Sensing that the weather was getting worse we started to make our way closer to home finally finishing off the night at the Irish bar next to our hotel. It would have been shortly after midnight when we called it a night, by which time it was blowing a gale and lashing it down with rain. Tomorrow was going to be a wet ride.